A Time to Sing About (2013). On Dec. 9, 2013 a resource partnership for musical theatre education between The Yip Harburg Foundation and Empire State College Metropolitan Center was announced at Empire State College Metropolitan Center SUNY at a special event which also featured a performance of Yip Harburg songs by Jonathan Hadley (Jersey Boys) and Jennifer Babiak (Fiddler on the Roof). 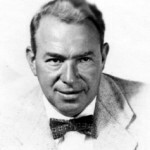 Ernie Harburg, president of the Yip Harburg Foundation, narrated film excerpts of the lyricist and his work. The event was conceived by Deena Harburg and directed by Jamibeth Margolis. The musical director was David Brunetti.